Make someone you love a drink. I didn’t say it had to be another person. Tiny bubbles…. or big golden bubbles. 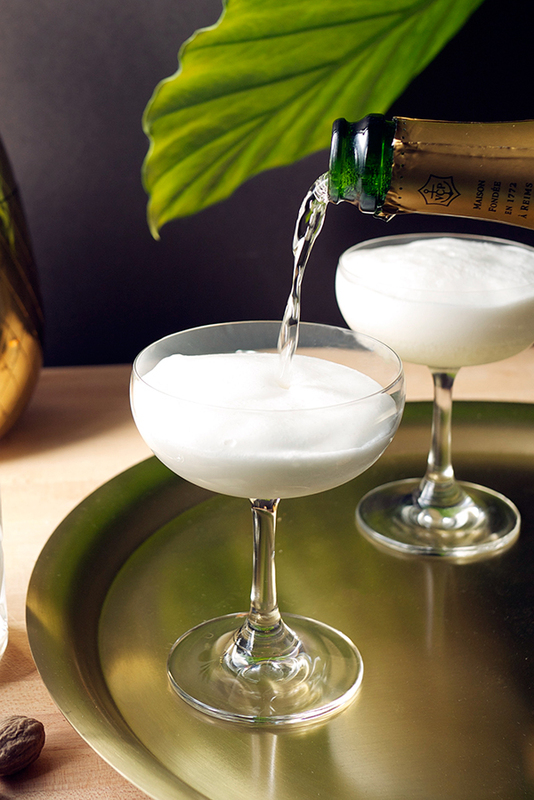 Whatever your type of bubbles, don’t forget to put some out on your bar cart this weekend. Here’s how we’re styling ours! Gold? Check. More gold?! CHECK! 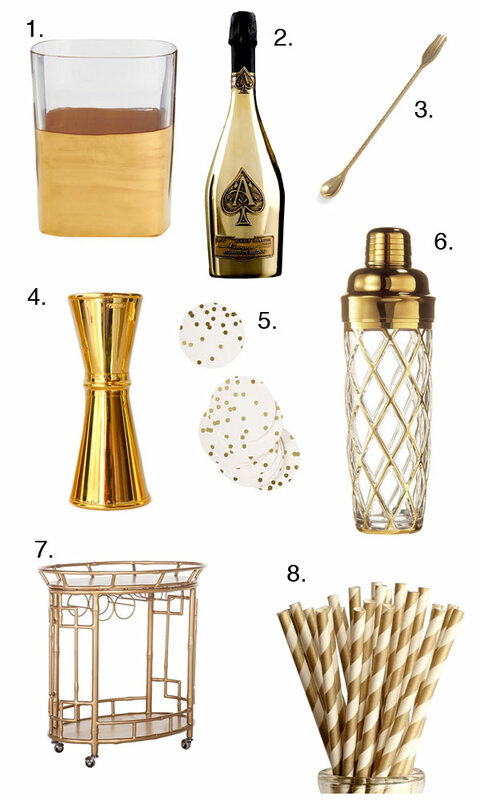 We’re jazzing up our bar cart for NYE with a couple of glittery touches, plus, bottles and bottles of good champagne. Disco ball stirrers? Yasssss! Let’s put a stake in 2016 cause we are DONE WITH YEAR. While I seem to be spending all my time lately helping you figure out what YOU should be getting this holiday season, I only see it as fair that I share what I want too. Give me a little pop of color for when I’m by the pool; I don’t mind acrylic if it means all day cocktailing and never leaving my giant lime wheel float. 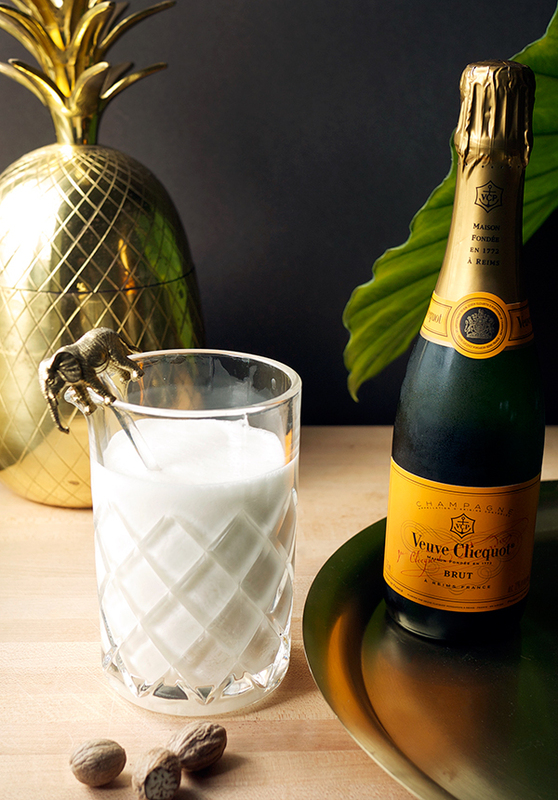 But when I want to get fancy, I’ll need that stack of champagne coupes and, albeit it predictably so, a bottle of Veuve Clicquot. Also, a place to perch myself please, with some shiny bar tools nearby and some personalized drink stirrers so I know which drink is mine. 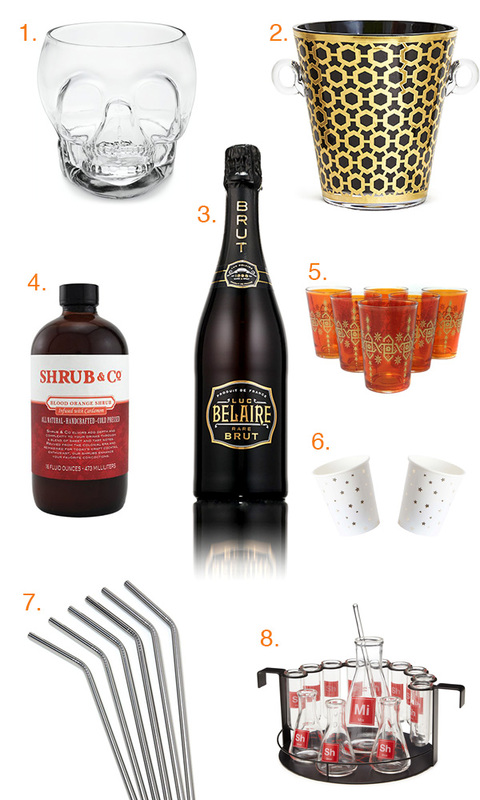 And if Santa’s feeling extra generous, that Cartier Punch Bowl set looks might fine. I’m taking a break from reading emails where everyone is telling me to get “what I really want”. 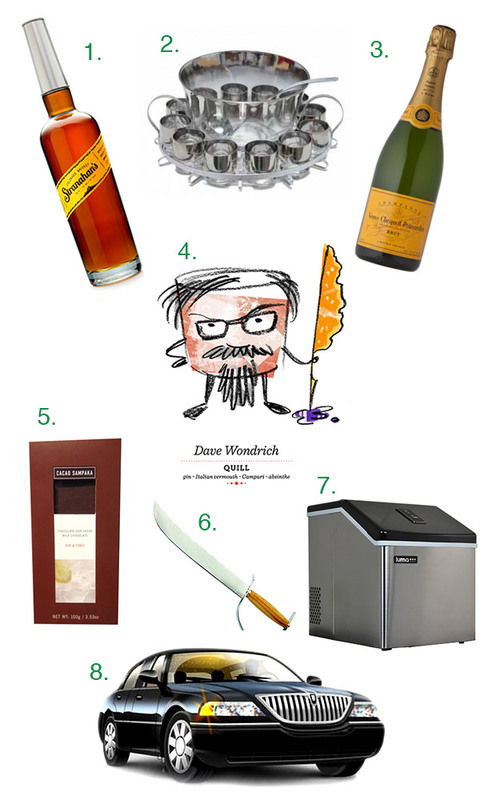 I figured I would just make up my own mind and make the last gift guide on here this season “what I really want”. What I really want, is to be able to buy Stranahan’s in California again since it’s been at least over two years since I could. I’d also like to picture myself as a cocktail, something with a giant straw umbrella hat would be fitting. 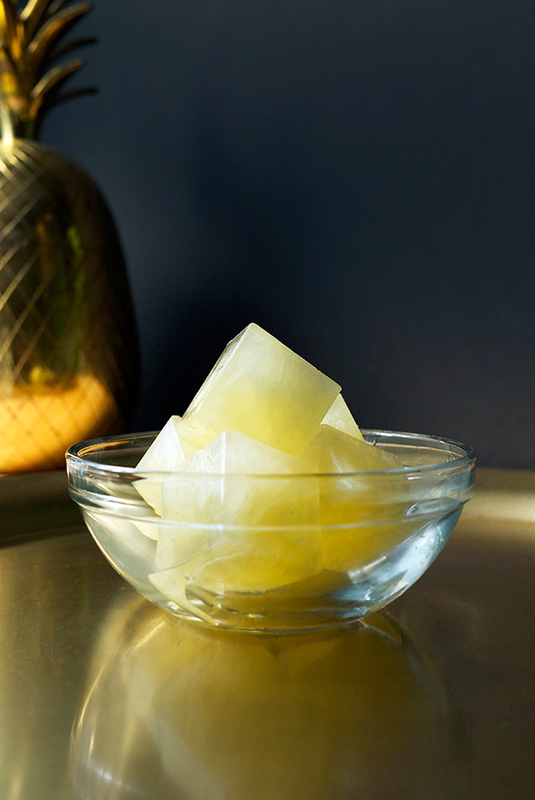 An ice maker that makes crystal clear ice? In my bathroom?! Or wherever the hell I want?! And seriously, I could totally use a saber to cut open bottles of champagne. Now, if only I could get a year of Uber rides for free (while eating Gin & Tonic chocolate bars and a full punch set up in the back). When something is covered in gold it makes it special, right? Unless you’re Jill Masterson; then you’re an unfortunate casulty of a James Bond love affair. But let’s not get bogged down with my obsession with the James Bond franchise. Let’s talk gifts! Of Gold! For cocktails! 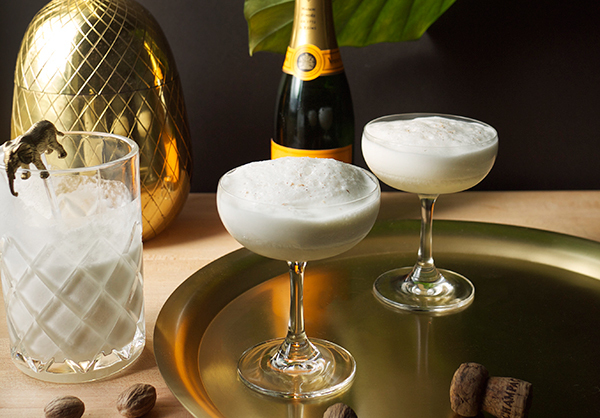 I’m sorry if you were expecting a certain gold-flecked liquor, instead I’m opting for some gold-wrapped champagne to top your cocktail. Make sure you mix it up nice with some blindingly beautiful accessories. And when you’re done, that bar cart is sure a nice way to store everything. If you’re on Facebook, Stir & Strain now has a page! You can click here to follow along. 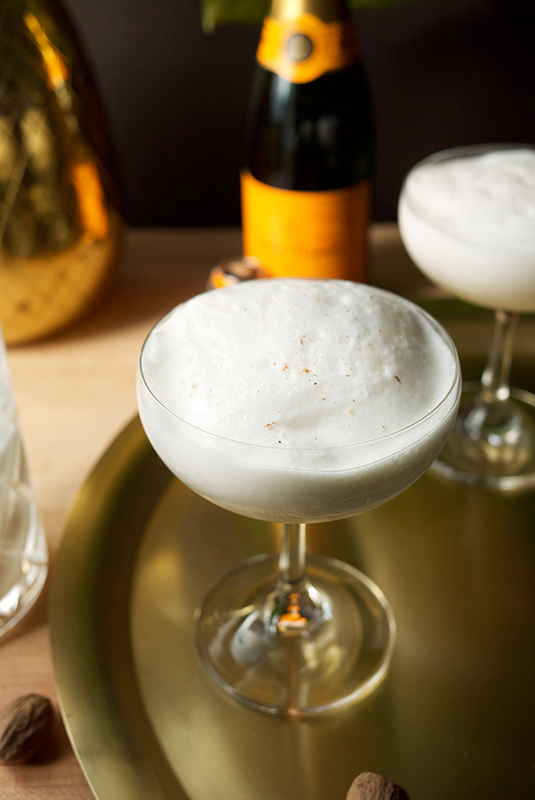 Do you know the perfect gift for the cocktail enthusiast in your life? Care to share? Leave a comment so shopping is a little less awful for everyone else this year.